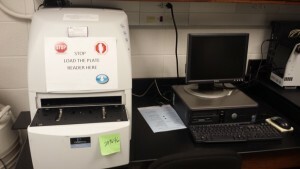 The specialized items of equipment shown below are housed within the Department of BioMolecular Sciences and are readily available for departmental graduate students and post-doctoral associates to utilize in the course of their research activities. The Department of BioMolecular Sciences at the University of Mississippi represents one of the most well equipped, state-of-the-art biomolecular sciences departments in the USA. Although not exhaustive, below is a list of some of the technology we have at our disposal. 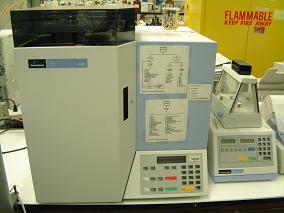 Equipped with Trident Processing Station, Trident Workstation, Autosampler (Gilson 223), 4 Reaction Cassettes, and Agitation-Thermal Unit for temperature control from –40 to 150 oC. The Trident Library Synthesizer runs up to 192 reactions in parallel. The Trident software controls the temperature, agitation, reagent/solvent deliveries and product collection. The Trident Workstation uses a manual interface to deliver reagents, while still maintaining inert conditions, and performs parallel resin washing and sample collection. 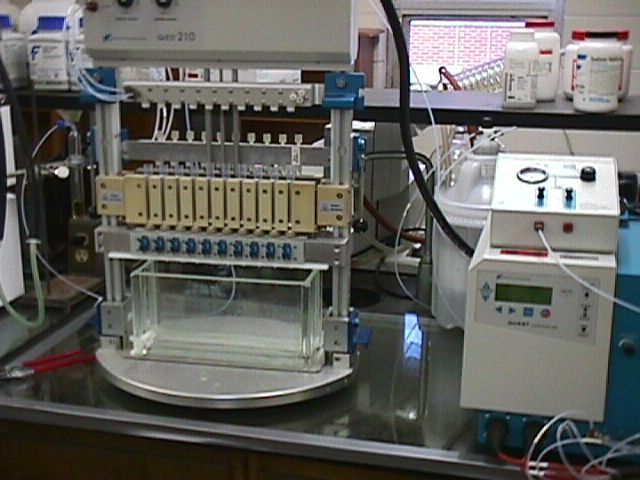 The Trident Processing Station is a multi-purpose liquid handler with a special interface to the Trident Reaction Cassette, used to perform liquid, extraction’s, solid-phase extraction’s, reverse filtration, dry solid loading to open vessels, sampling of reaction vessel contents to vials, reformatting (e.g. from tubes to microplates), delivery of reagent/solvent to Reaction Cassette, draining/washing of resin in Reaction Cassette, transfer of reaction vessel contents to vials, transfer of tube/vial contents to reaction vessels, and addition of solvent to external vials. 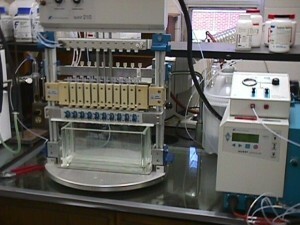 Equipped with 20 reaction vessels, automated solvent wash module, solid phase extraction rack, and hydrogenation module. 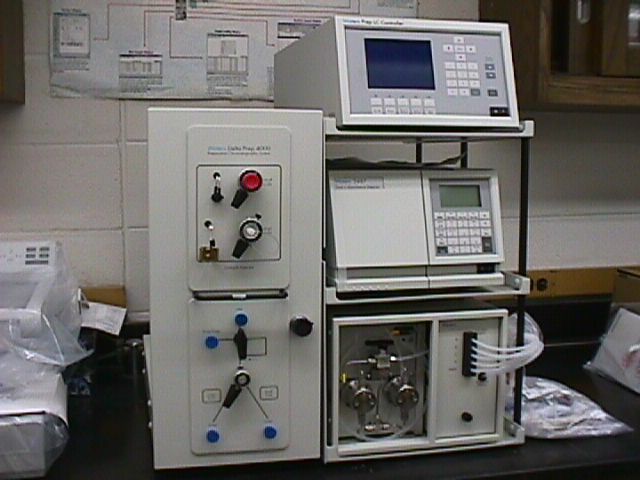 The Quest 210 handles both solid-phase and solution-phase chemistry. 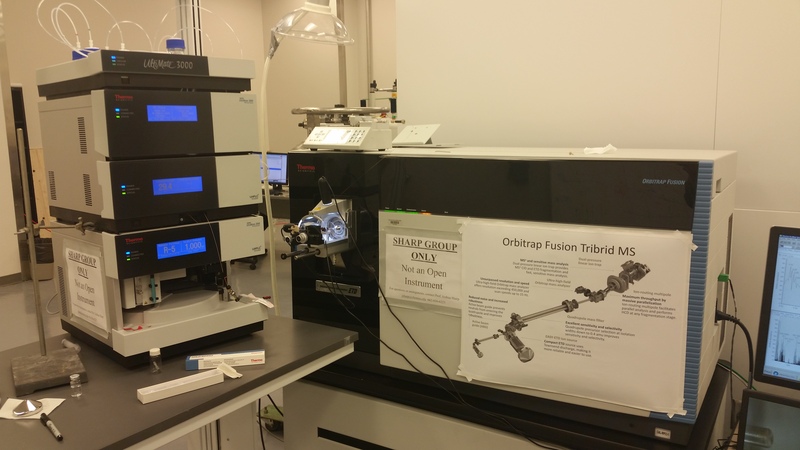 These systems are ideal for the synthesis of small focused libraries on solid-support, chemistry development, exploratory reactions, and the resynthesis of active compounds. 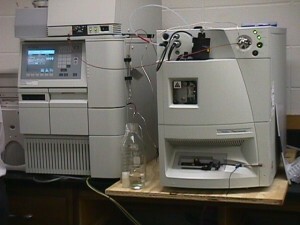 This instrument handles up to 20 simultaneous reactions in either 5 ml or 10 ml reaction vessels. 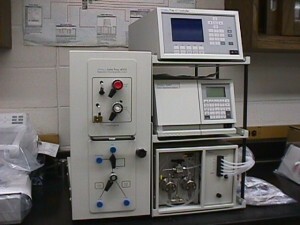 These are the scaled-down versions of the Quest systems, and are used routinely for larger scale solution chemistry. 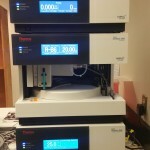 (1) Waters Alliance HT LC/MS System consists of:Waters 2790 Separations Module, the Waters ZQ™ Mass Detector (Waters 996 Photodiode Array (PDA) Detector, and FractionLynx™ software. 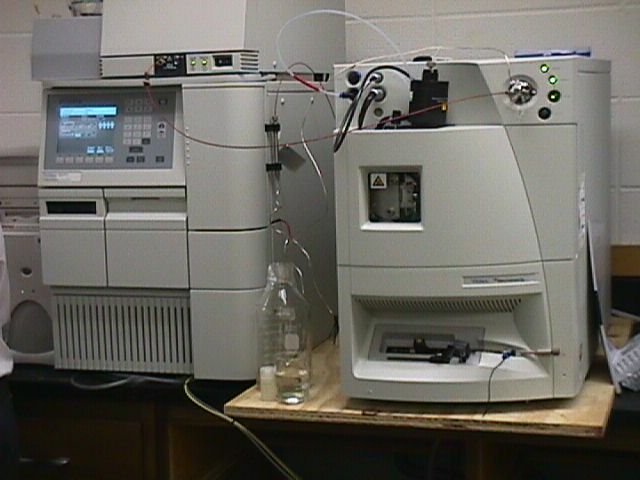 (2) Waters Alliance LC/MS Systems consists of:Waters ZQ Mass Detector, Photodiode Array Detector, and Alliance HPLC system. Five (5) Waters Alliance HPLC Systems: (UV, Diode Array, Evaporative Light Scattering detectors). a Rheodyne 7725I injector, and Waters 996 Photodiode Array or Waters 2487 Dual Wavelength Absorbance Detector. Micromass Q-TOF micro Hybrid Quadrupole/Orthogonal High Resolution Time of Flight MS with Micromass capillary HPLC. ESI and APCI (positive and negative ion modes) including LockSpray source (right) and NanoFlow CapLC source (left). 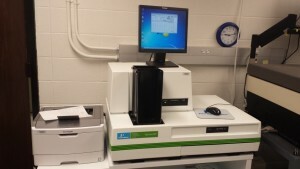 Biochemical analysis software suites include ProteinLynx, BioLynx, and MetaboLynx. 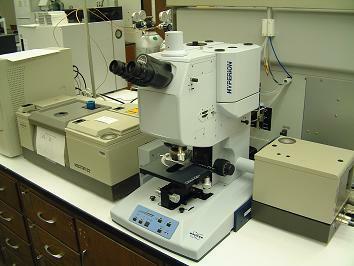 Routine instrument for high-resolution analysis of small molecules or proteins. Nanoflow CapLC accessory performs microflow capabilities at nL/min flow rates. Rudolph Autopol IV, a six-wavelength polarimeter equipped with stainless steel jacketed cells, for measuring optical rotations. Volumes accommodated range from 1.0 mL to 0.05 mL. 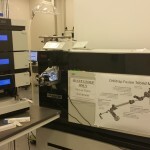 Bruker Vector33 FTIR, with NIR and MID FTIR capabilities, equipped with a fiber optics accessory for remote sensing, and an HYPERION IRScope with ATR capabilities for solid-phase analysis of chemically modified resins. 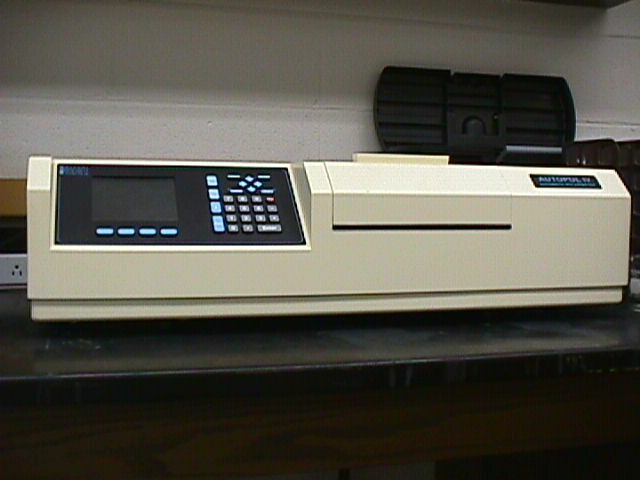 Hewlett-Packard 8453 Diode-Array Biochemical Analysis Spectrophotometer equipped with 7-cell thermostatted multicell transport accessory and dedicated water circulator. Biochemical Analysis software suite allows for kinetic analysis and real-time monitoring. Elemenatal analyzer equipped with a 60 sample carosel for performing high-throughput elemenatal analyses. The In Vitro Core’s TopCount NXTTM analyzes six at a time, and counts samples in 96- and 384-well microplates, as well as microcentrifuge tubes. The external plate stacker allows multiple assay plates for a high unattended counting capacity. The system automatically controls the counting chamber temperature to ensure a stable and reproducible counting environment. The TopCount NXTTM can be used for Cell proliferation, Receptor binding assay, Solid Phase RIA/LIA, Reporter gene assays, 51Cr release assays, HPLC fraction analysis and Scintillation Proximity Assays (SPA). 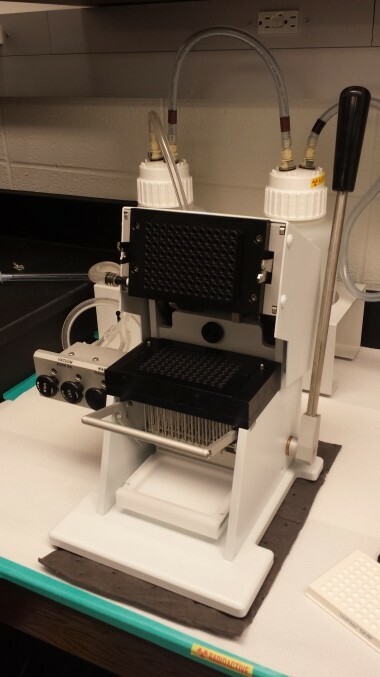 The FilterMate Harvester is configured for harvesting UniFilter microplates with built-in GF/B® or GF/C® filters for analysis on the TopCount Microplate Scintillation and Luminescence Counters. The Tri-Carb 2900TR is a bench top liquid scintillation analyzer used to measuring small amounts of beta, gamma and alpha radioactivity. 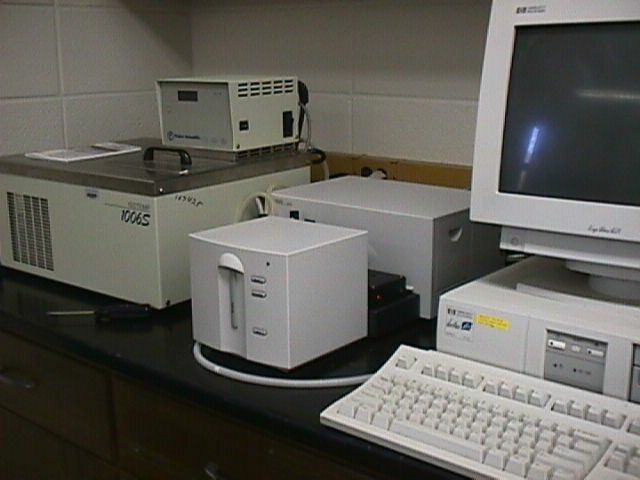 The Tri-Carb features QuantaSmart instrument software. 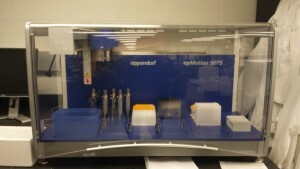 The epMotion machine is an automated pipetting system. It can dispense any quantity from 1-1000 μL in anywhere from 1-12 channels. 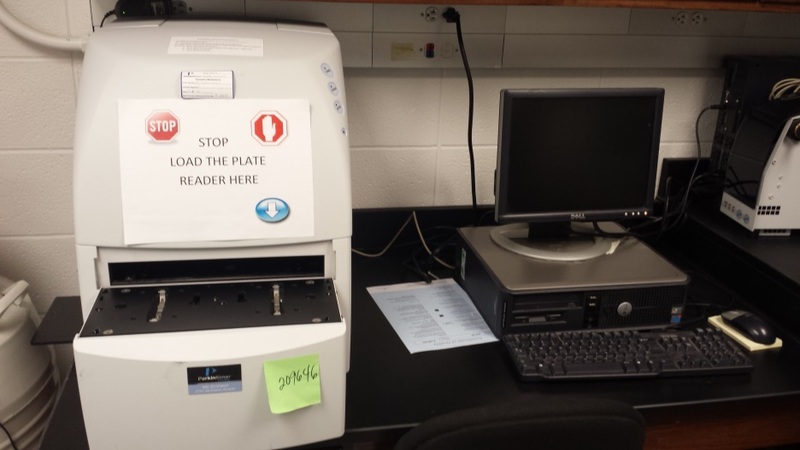 This machine is a fast-reading detector HTS reader. 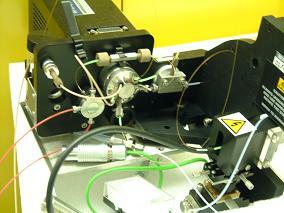 It includes two detectors which allows for simultaneous wavelength reading and reading below emission. 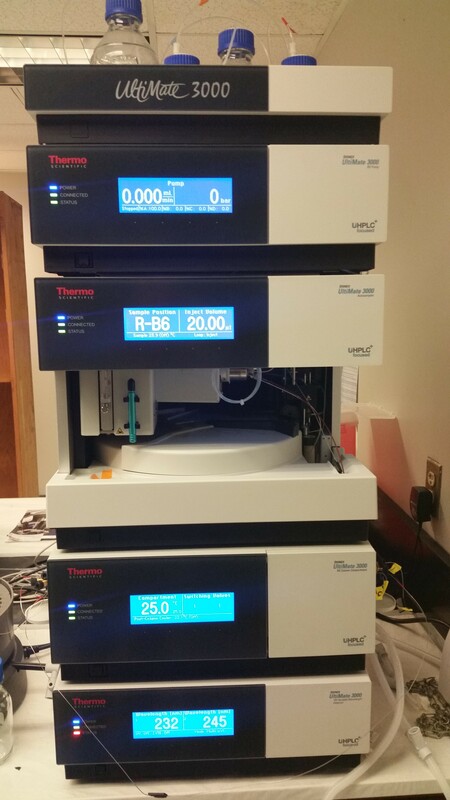 It has stackers as well as internal temperature control for samples being loaded. It also has alpha screen capabilities and uses software to show plate readouts. 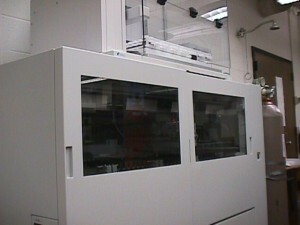 This incubator is designed to retain CO2 levels internally for samples as well as keep them at temperature. Systems are designed to also “trap” external water. 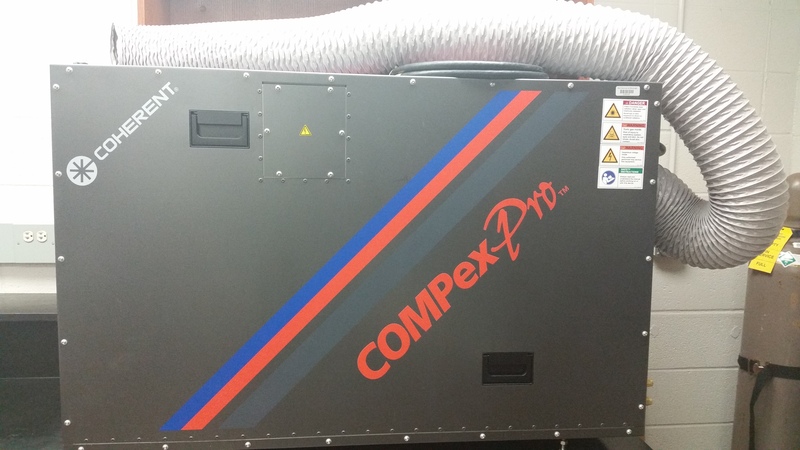 It offers thermal protection and insulation as well as spacious room for samples. 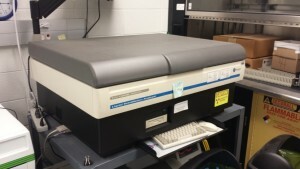 This high performance centrifuge has high speed rotors capable of producing up to 26,810 x g. Higher speed and g-force allow this centrifuge to be used in a biological lab setting. Parameters are set using easy turn knobs while their values are shown on large digital displays. Speed can be set and displayed in rpm or rcf. It has a radius-correction feature, and braking intensity can be set to ten different levels. 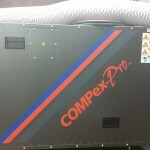 There is also a refrigeration system internally, so heating or cooling can take place inside the centrifuge. Olis DSM 20 CD for measurements of circular dichorism (CD).